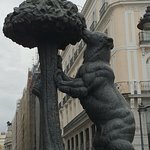 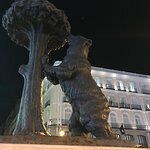 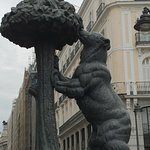 You might recognise this bear & tree as it is depicted on the city’s coat of arms. 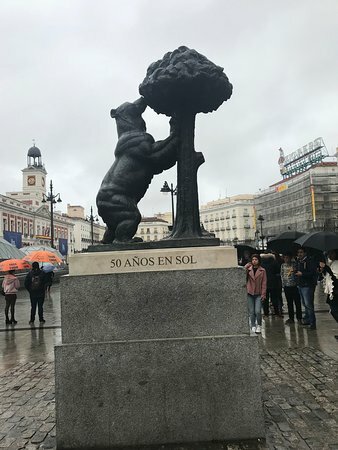 It is located at the eastern end of Sol Plaza and makes for a good souvenir photo. 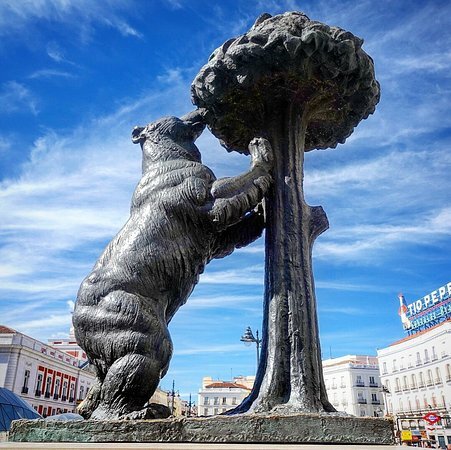 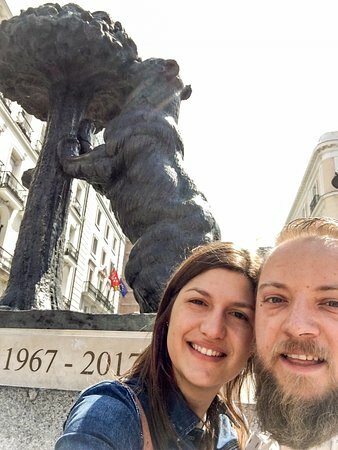 If you are tired of the multitude of generals posing on top of horses then this statue of a bear and a tree will make a pleasant change. 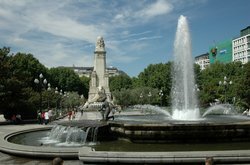 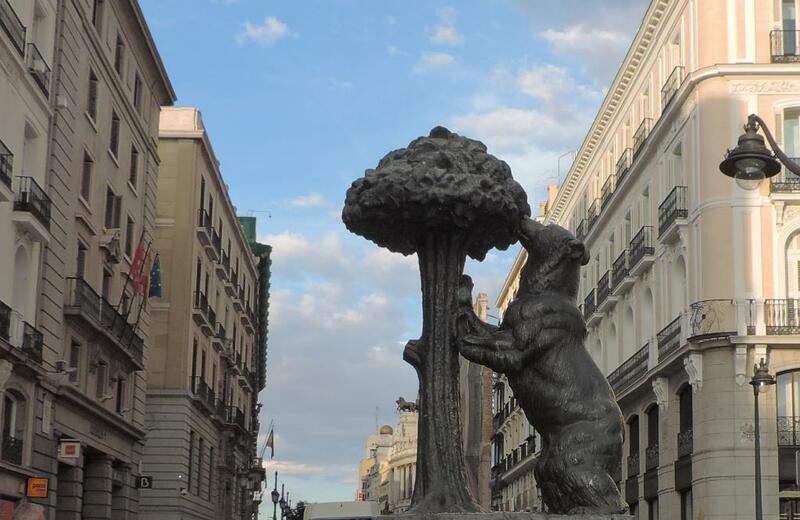 A typical must in Madrid in Puerta del Sol. 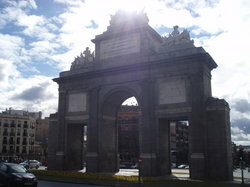 In between Calle de Alcala and Carrera de San Jeronimo. 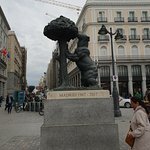 This image appeared in XIII century in coats of arms of the ancient city of Madrid. 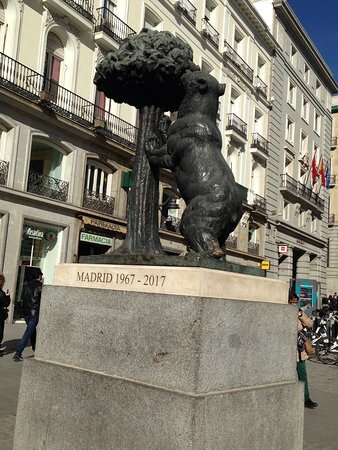 Is a very traditional symbol of the city. 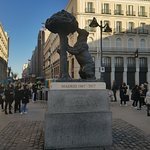 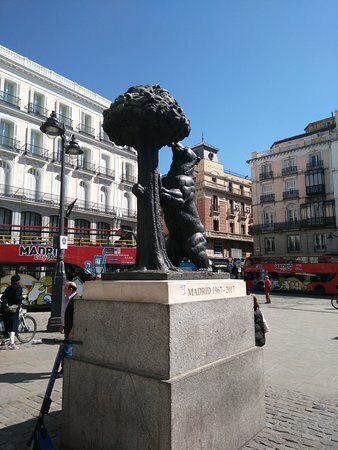 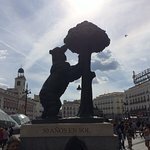 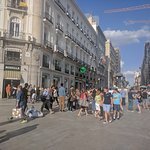 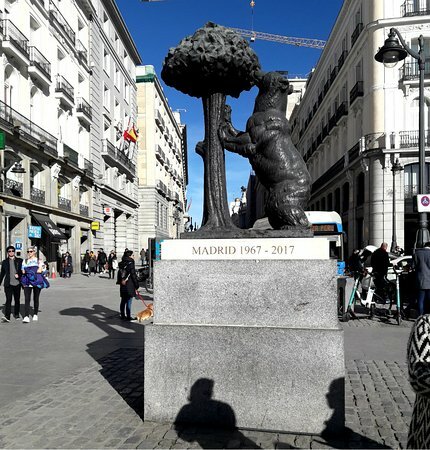 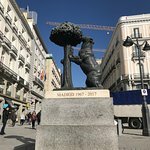 Located in Puerta del Sol, every visitor takes a photo here, as this symbol is included in the flag of Madrid, as well as in the badge of Atletico de Madrid. 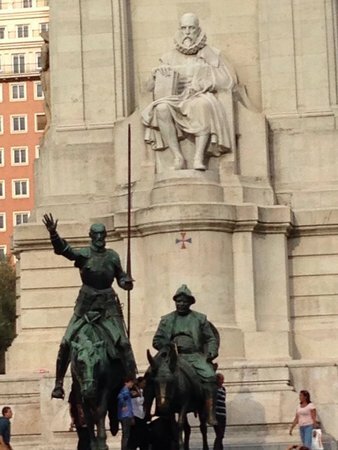 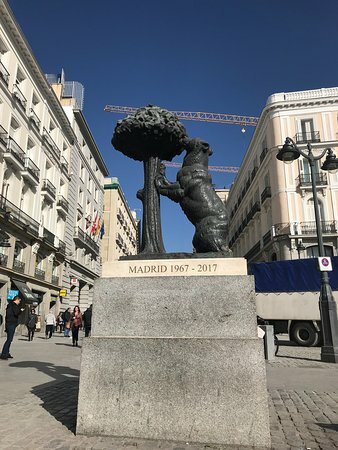 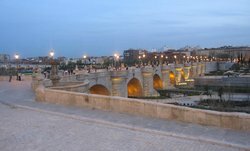 Taking a picture of this piece of art is mandatory for those who are visiting Madrid, even for business. 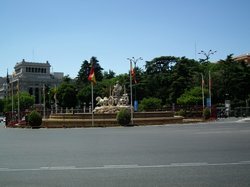 Not as big of a monument as I’d imagine but it definitely is the center of where a majority of tour groups and tourist come around to. 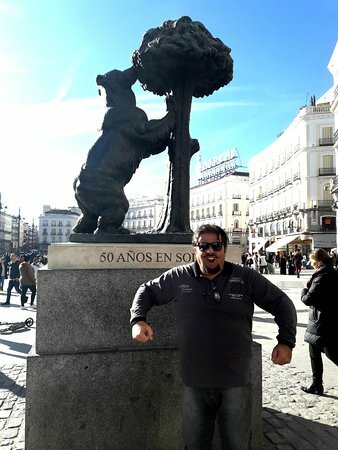 Get quick answers from El Oso y el Madrono staff and past visitors.